Our 2nd Quarter 2012 – iPad Winnner! 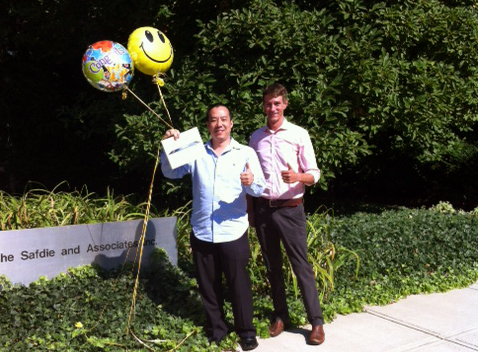 Daniel Cho from Moshe Safdie and Associates, accepts his brand new iPad3 from Architectural Products Consultant, Matthew Cyr. Congratulations Daniel!